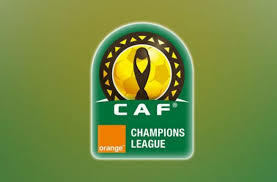 Mamelodi Sundowns reached the final stage of the CAF Champions League, after being placed second on group C. It will now face Wydad Casablanca for the quarter finals, in a very tough encounter due. The former champions are the only south african team that remains in the cup, what are the chances for they to reach the finals and win it again? The football picks rates Mamelodi as a team with high chances to lift the trophy again. However, they’re not seeing them as the main candidate. There’re some reasons to support this: the current level of the team is not the same as in 2016. On the other hand, there is a strong north-african presence in the equation: Al-Ahly, Espérance, ES Sahel and Wydad are all historical and strong teams that will always be contenders. It is true that the performance has been declining. However, with the start of the south african premier league in July, the team will have some modifications. Dennis Onyango is still the best keeper in Africa. But the arrival of Brimah Razak will give him a much needed competition for the position. The Ghanaian has European experience and will be ready to step in if needed. The defense is an aspect that Mamelodi have worked well in the past and still is. A strong defense is necessary in the cup, especially in the final stages where a goal could decide your fate. The arrivals of George Lebese (a left midfielder from Kaizer Chiefs) and Oupa Manyisa (central midfielder from Orlando Pirates) gave Mosimane some needed hierarchy in the midfield, which can improve the overall performance. In the forward zone, the main question is this: Will Khama Billiat stay? The player is linked with Kaizer Chiefs, but so far there is no news on that possible transfer. A loss like that will likely be a huge downside, which will alter any scheme. Leaving the squad behind, there’re other things to take while analyzing the future of Mamelodi Sundowns in the CAF Champions League: In a competition where travels are often long and exhausting, being almost the only one team in the south part of the continent (with the exception of Ferroviario Béira) could either be an advantage or a disadvantage. It will depend on how strong the team becomes when playing at home. The past results should light some warnings: in the group stage, the Sundowns never achieved a win at home. For instance, it will be crucial to lock up a great first result at home against such a strong rival as Wydad. It is always difficult for teams to face a long trip and still provide a good performance, and sometimes being able to approach that advantage makes the difference. If Mamelodi improves their offensive game and take advantage in their home matches, they’re most than qualified to reach the final stages again. However, it won’t be an easy competition, with a lot of strong teams trying to win the cup. Is yet to be seen how strong this team is, but there’re reasons to hope for the best.